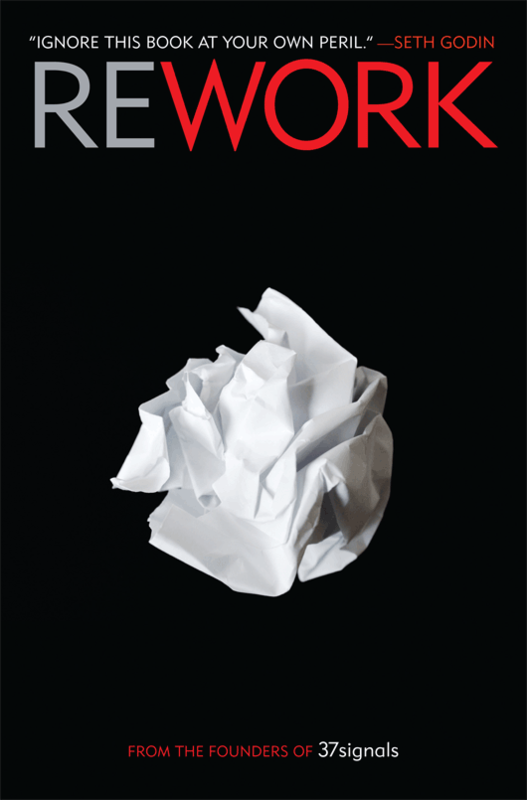 Rework is written by Jason Fried and David Heinemeier Hansson, who run a software company called 37signals. Over the years, they’ve taken a good hard look at how business is and should be run. And the answers they’ve come up with are surprising. And they work. Have you ever been stuck in a meeting and thought it was a waste of time? According to Rework that’s because meetings are toxic. They chew up work hours and get very little done. This is one of many examples that they draw upon where doing things the way they’ve always been done is not helpful. Instead, the authors challenge the reader to take a close look at how they run their business and question if that is the best way. The book is written in small, bite size chunks. The idea is to put forward and idea and get you to think about it. What you won’t find here are detailed plans or solutions. I often found that I wanted a deeper exploration of the concepts raised. However, I found the book useful for the questions it raised, even if I was often wanting more. This is a book that I will be pondering over further and working out what to apply to church. For example, the authors suggest that planning is actually guessing and should be treated as such. What affect will this have when I’m considering a 5 year plan for my ministry? Or creating a culture where people have a life outside of the workplace so that they become more efficient during work time. What affect will this have when my whole life is ministry, yet there are still times where I’m “off the clock”? Rework has questioning how I do things. To me, that makes a successful book.